Anna Healy was born in Scituate, Massachusetts on May 22nd, 1911, the second of ten children born to John and Hannah Healy, who were both from County Cork in Ireland. After high school, Anna trained as a commercial artist at the Vesper George School of Art and later studied at Boston Teachers College and Framingham State Teacher’s College and worked in Boston. Anna entered the Marist Missionary Sisters in Bedford Massachusetts on August 2nd, 1941. She took the name Sr Mary Paula as a novice, and made her first profession on February 2nd, 1944. She arrived in Fiji in 1946 and devoted the next 43 years mainly to teaching the children of Fiji and Rotuma in primary schools throughout the islands. Her first assignment was in Sigatoka on the island of Viti Levu. In 1948 she was sent to the island of Vanua Levu and taught first in Savusavu and then in Solevu. 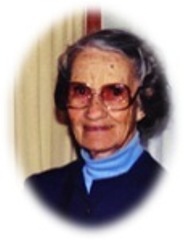 In 1950 she began teaching at the novitiate of the Sisters of Our Lady of Nazareth in Cawaci, Ovalau. In 1953 Sr M. Paula was appointed head teacher at the school in Sigatoka. 1955 saw her in Suva as Acting Regional for a time, and she then returned to Sigatoka. Sister went to the island of Taveuni in 1957, where she taught at Wairiki and was the local superior. In 1959 she was assigned to the community in Naililili, Rewa where she taught and was once again the local superior. Sister Mary Paula had her first visit home to the USA in 1962 when she was called to make her “Second Novitiate” in Lowell, Massachusetts. Afterwards she returned to Fiji and to Naililili. In 1964 Sister was sent to the remote island of Rotuma where she taught and was the local superior until the SMSM withdrew from Rotuma in 1967. In 1968 she was appointed head teacher at Stella Maris School, Suva Point. Except for one year, 1974, in Sigatoka, Sr Mary Paula remained in Suva for the next 21 years, serving alternately at Stella Maris and Chinese (Yat Sen) School, and then at Corpus Christi Teacher Training College, where she taught art. All of these “facts” about the life of Sr Mary Paula in Fiji, impressive though they are, cannot really express the aspects of her personality and character that made her so fondly remembered by her Sisters, students and co-workers. We have received so many messages from those who knew her during those years. Some spoke about the friendly rivalry that went on between herself and Sr Mary Gennaro when each was head teacher of a different Suva school. It continued even when they swapped schools, and never prevented them from collaborating on comedy skits for our SMSM gatherings. One sister wrote, “When I think of her, I smile.” Another tried to sum it up by saying, “It’s hard to describe Sr Mary Paula to people who didn’t know her –she was artistic, and yet practical; she was poised and dignified, but worked very hard at whatever had to be done; she loved to tell stories, but was not a gossip; she liked to make people laugh, but she wasn’t silly; she often ignored the weaknesses or misdeeds of others and it was hard to tell if she didn’t see these things or if she just chose to overlook them. She wasn’t given to pious exhortations. But her life spoke for itself. Her many years of devoted service to the people of Fiji and Rotuma, and to her Sisters in community was a lesson to all of us of an underlying faith and great charity. Sister Mary Paula had visited her family in the USA several times over the years, but when she came back in 1989, it was eventually decided that she would remain in the USA. With her characteristic readiness to “set out again” for a new place, she joined the new community of SMSM at Rocky Creek Retirement village in Tampa, Florida in 1990. There she continued the artwork that had always been an important part of her life, and even taught other residents in the village. Returning to Massachusetts in 1998, she undertook the project of painting the murals of scenes from the South Pacific islands, Peru and Africa that still grace the walls of the Mission Hall at 62 Newton Street in Waltham. Well, Sr Mary Paula, all of us, your Sisters, friends and family members, wish to affirm and thank you for the wonderful example you have left us. Forgive us for the times when we’ve taken your goodness and kindness for granted, and remember us, and all the people you have served over the years, as you enter into the fullness of life. May Mary, who was your refuge during this lifetime, lead you into the presence of her Son, and the joy that knows no end.